Unicycling as a way to go down Mountains in remote areas? Since many years Lutz is fascinated about the possibilities of this simple sport. Profesionell Videos and Pictures take the audience with him to the biggest projects Lutz faced. The multimedia presentation motivates to try out new challenges, inspires to think about new traveling destinations and entertains a large audience. 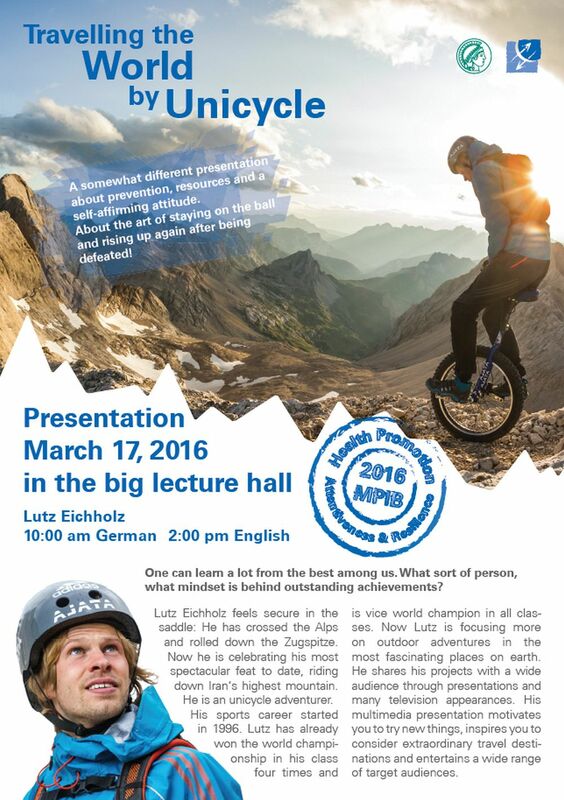 Its possible to combine the presentation with a Live Unicycle Demo. Bayerische Akademie für Verwaltungs-Management, München.